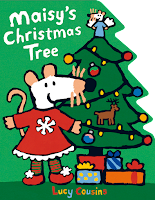 Picture Book Party: Maisy's Christmas Blog! It’s almost time for Christmas! Maisy is busy getting into the spirit of things by decorating her tree and giving presents to all her friends. It’s got the Character team here at Walker HQ thinking about our own special traditions, and the ways which we share the festive season with our loved ones. We’ve written about some of our favourites! Plus see below for your chance to win a set of Maisy Christmas books and a Maisy plush toy. For me, Christmas has always been about spending time with friends and family, and finding ways of showing them how much I love them… but it’s also about eating a lot of food. It’s the one time of year where the level of sugar that I want to eat on a daily basis is socially acceptable. So how to best combine my twin passions of that warm, Christmassy feeling of family and homecoming with my desire to eat my body weight in biscuits? Every year, my friend and I get together and spend an afternoon baking and going overboard with the sprinkles and edible glitter. It always gets me in a festive mood, and the consequent sugar coma is topped only by the feeling of love and goodwill I get from sharing the house with all the people that make me feel most at home. I’m sure Maisy would approve. In my family, the Christmas season officially starts once the tree goes up. We would drive to the Christmas tree farm together, and after carefully considering each option (pine or fir? tall or fat – or both? ), choose the right one to take home with us. Once my parents had strung on the fairy lights, it was time to decorate. 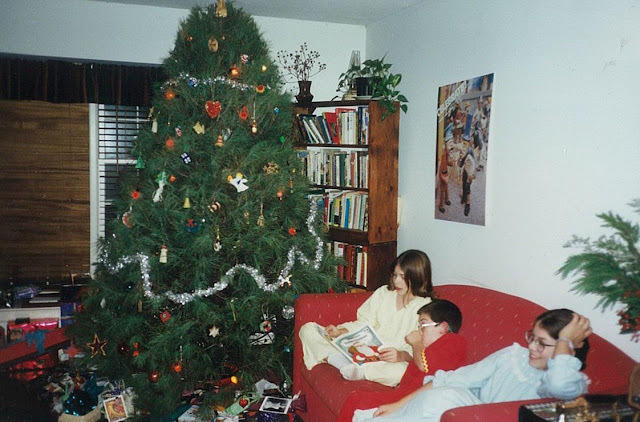 We had boxes and boxes of ornaments – wooden nutcrackers that my mother had saved from when she was a child… glass-blown ornaments that my scientist father had made in the lab… the clothespin-reindeer and origami snowflakes that my brother and sister and I made at school each year, and so many more! It wasn’t without a struggle; my siblings and I argued excessively over who got to hang the tiny fur mittens and the shiny green pickle! But when we had finally worked everything out, we were sure that we had the most beautiful, special Christmas tree ever. Reading our favourite Christmas books beside the tree. My tree this year – still covered in ornaments! 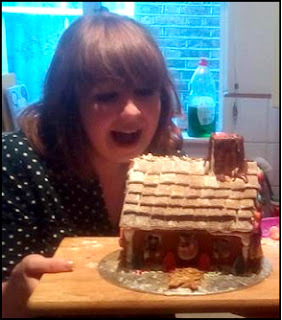 One of my best Christmas memories is a culinary one! I grew up in the French countryside, and my mum was the most fantastic cook. However, the traditional Christmas chestnut cream log – which my brothers would fight about – was not my favourite thing, and I never thought it was exceptional in any way. One year, we were all invited to spend the Epiphany with my dad’s friend (who later in life opened his own restaurant), and they served the traditional pudding, "galette des rois”. First, the smell of the almond puff pastry fresh out of the oven was amazing. When I took my first bite, it was the best dessert I ever tasted. It was sweet but not too sweet, melting inside and crunchy outside, warm and simply delicious. 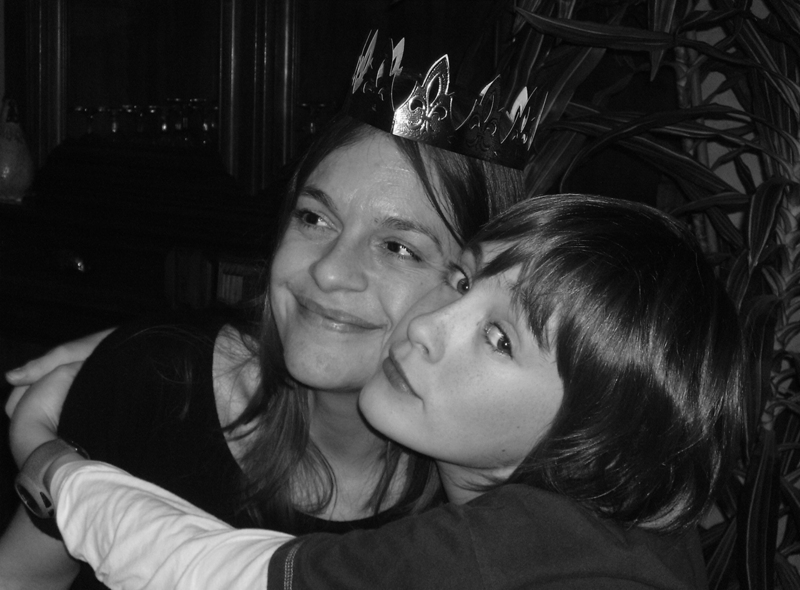 And there was also a little charm hidden inside… whoever found it became the king or queen and got to wear the golden crown. How exciting! 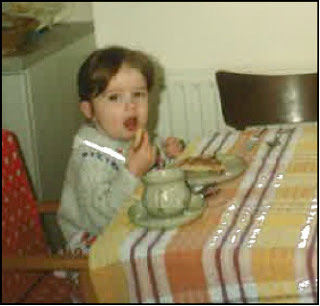 Last year – only forty years later – I tried to bake “galette des rois” myself for the first time. I invited my lovely English neighbours, who were polite enough to eat it with us. I don’t think the taste was anywhere near the one I had back then, but it was about sharing traditions, discovering something new and having fun! This year, I am looking forwards to Christmas, of course… but I can’t wait for January the 6th when we shall have “galette des rois” again. 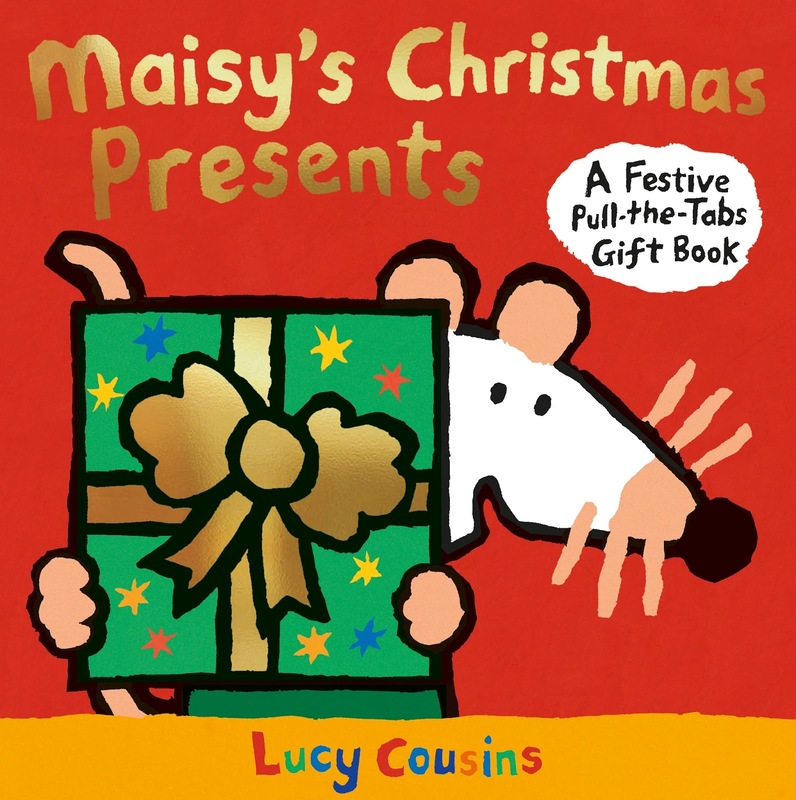 WIN a Maisy Christmas prize! 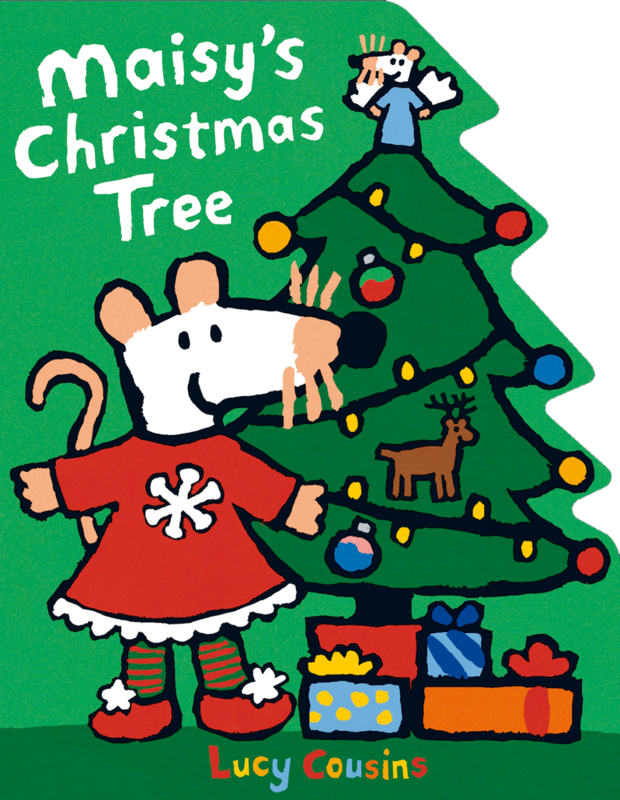 We have copies of Maisy's Christmas Tree and Maisy's Christmas Presents plus a Maisy soft plush toy to give away to one lucky winner! For your chance to win just email your name and address to competitions@walker.co.uk with 'Maisy Christmas' in the subject line for your chance to win. Competition closes on 21st December 2017. Terms and conditions apply.